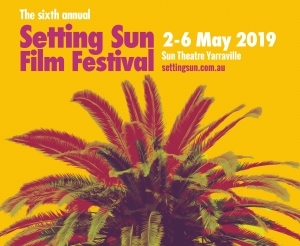 The Setting Sun Film Festival is the premier film festival in Melbourne’s West. We have grown over the past five years from a community festival to one with a national and international reputation attracting entries from around the world. We’re a five day festival that includes a competition for the best short films under 15 minutes. We also screen feature length films. Our 2018 festival screened nine sold out programs, and 80 films. Film categories are Open to all and cover animation, documentary, short feature, comedy, acting, directing, screenwriting, tertiary, secondary and more. We have a female only program sponsored by the award winning film producer Sue Maslin. We at the prestigious art deco Sun Theatre Yarraville. The best films submitted will form the basis of the festival. They will screen at The Sun Theatre over a period of five days, 2-6 May 2019. The festival has been created by Anna Bourozikas from Poppy Kat Media.